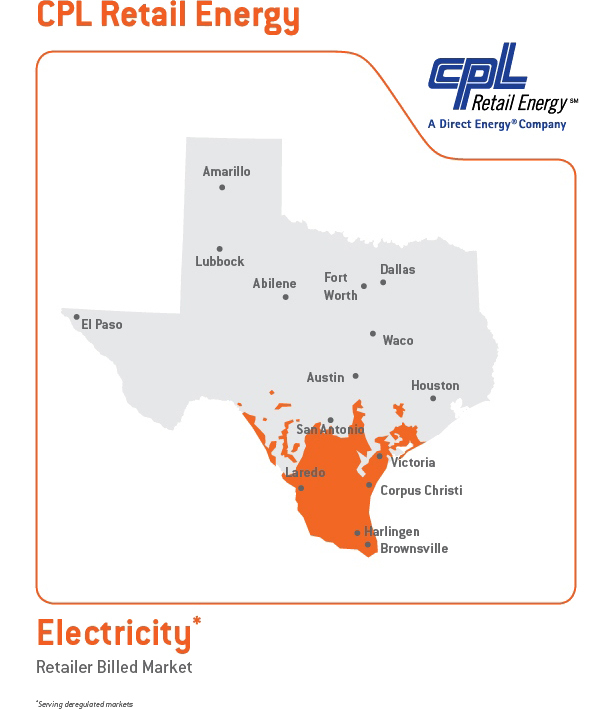 WHICH TEXAS CITIES DOES CPL RETAIL ENERGY SERVE? Our South Texas customers can count on us to provide reliable, economical, and customer-focused service every day. As part of the Direct Energy family of companies, we're backed by the stability and expertise of a national energy provider, while staying true to our local roots. Our commitment to our customers has never wavered, and you can count on us to be here for you for years to come. *Four-star rating based on Public Utility Commission rating for customer complaints received in the past six months.